I love a good messy craft. I think it's important for child development and sensory development to let kids get messy. I love getting into a messy project myself! However, sometimes I don't want to deal with the clean up: of my child or my house. 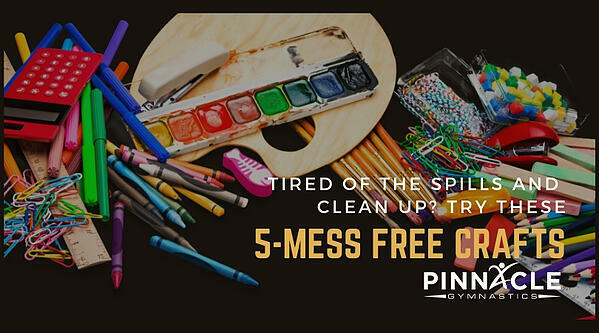 Being able to release some creativity in a mess-free way is beneficial to your child, and you don't have to worry about destroying your home in the process. Wikki Stix, also called Monkey String depending on the brand, are pieces of string covered in colored wax. 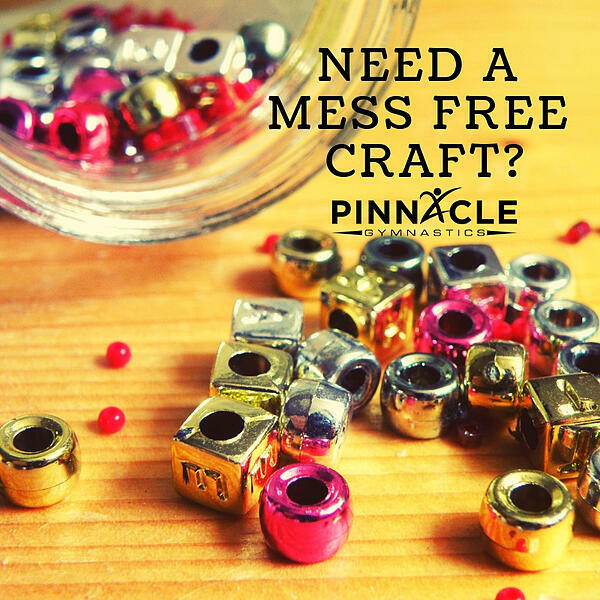 These are my ultimate favorite mess-free craft. You can use them like markers and lay them out on paper to make a picture. You can also use them to make more three dimensional sculptures. They are also oh-so-pleasing to play with. They get softer the more you manipulate and play with them, as the heat from your hands warms them up. Art and sensory in one? Yes, please! Painting is a great way for kids of any age (and adults too!) to release their creativity. You can make shapes on a page, explore color, and so much more. The only downside to painting is the mess. It's amazing to look over a child after they've been painting and discover all the different nooks and crannies that they have managed to paint. My favorite way to let my child paint is to pour a couple different colors of paint into a plastic zipper bag and seal it up with tape to ensure that nothing can leak out. It's also best to get as much air out of the bag as possible. You can lay the bag out on a table or the kitchen floor, or you can tape it to a window for some added fun. A really awesome alternative to paint is shaving cream. It has a different texture than the paint, and works especially well taped to a window or light table. Pipe cleaners are so much easier to string beads onto than string. It keeps its shape, and is much easier for little hands to hold. You can also put the pipe cleaner through a colander or stick it into a mound of play-dough to help hold it. Feel free to get creative with your beads as well. Got some un-cooked macaroni, straws, small hair ties, old rings, Froot Loops, or Cheerios? Then you've got yourselves some exciting new beads. I remember as a child thinking that glow sticks must be magic. They are so cool! Even as an adult I'm just so enthralled by them. Most glow stick packs come with the thinner sticks and little connectors for them. These are intended to be used to turn the glow sticks into bracelets or necklaces. However, it's much more fun to use them to make some awesome sculptures in the dark. Turn the lights off, turn on some party music, and you're good to go! This project is especially fun when it's miserably hot outside, and there are so many different ways to do it. You can fill up buckets with water and paint with brushes or your fingers. You can use sponges or spray bottles. Water bottles work great as well. Depending on the temperature outside, the water will evaporate and kids can start all over again. This is also a fun project in the winter, as long as your kids don't mind bundling up against the elements. The added fun to doing this project when it's below freezing is that their creation will freeze and look extra whimsical. Everyone knows that letting kids release some creativity is important to their development. But encouraging your kids to get creative can seem daunting if you have to deal with hours of clean up. Sometimes getting messy sounds super fun (try these best slime recipes for kids)! When destroying your house doesn't seem like the greatest option, I highly encourage trying one of the above crafts. 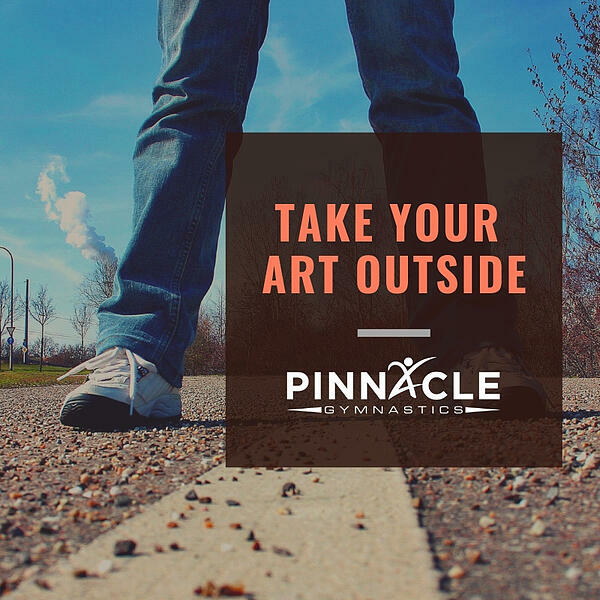 Considering taking it outside the home? Check out these Activities for Kids Kansas City!